Samsung, an official Olympic Partner, has been announced as the 2012 sponsor of Bike Week, which is staged 16-24th June. 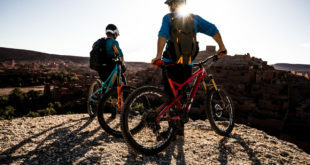 Samsung Bike Week will see thousands of people participating in cycling events across the UK. The deal will promote the Samsung Hope Relay initiative, a sports challenge to raise money for charity. The challenge is a way of taking part, virtually, in the Olympic Torch Relay. Smartphone owners can download an app that features their head on an animated body carrying the Olympic torch. Cyclists now join runners as part of the virtual relay. 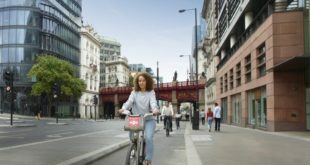 For every mile cycled, Samsung will donate £1 to charities such as London-based Kids Company and London 2012’s international sports legacy programme, International Inspiration. The Samsung Hope Relay app is free to download to most smartphones. As users cycle their mile, GPS tracks the distance and records the results. 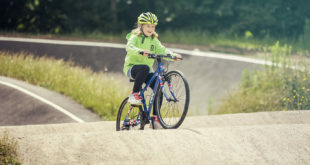 Bike Week – part of the Summer of Cycling – is supported by British Cycling, LCC, ACT Travelwise, Sustrans, CTC and Cyclenation.